We are extremely excited to announce, DefenAge is now available at Advanced Laser Skin Care & Spa, in CLinton Township! 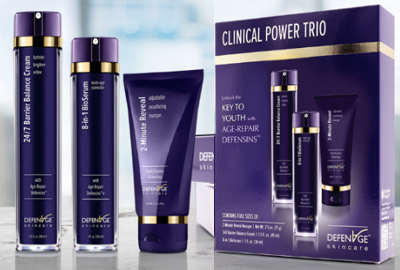 DefenAge RADICAL ANTI-AGING SYSTEM visibly corrects up to 16 signs of aging just in 6 weeks! * Call Advanced Laser Skin Care & Spa to try this amazing product! *Based upon results from a 6-week double-blinded clinical study of men and women ages 50-67 using this regimen. 2-MINUTE REVEAL Masque on to two times a week plus 24/7 BARRIER BALANCE Cream and 8-in-1 BIOSERUM twice daily. Individual results may vary. The newest product for the lips from Epionce! This product has anti-inflammatory and barrier repair technologies. It provides protective barrier lipids in similar amounts and ratios that occur in normal healthy lips. The skin on the lips is characterized by lower collagen and elasticity, very thin skin barrier, different makeup of surface oils, lipids and cholesterols and less moisture holding capacity. The key benefits of Epionce Anti-Aging Lip Repair are, its skin renewal and anti-inflammatory properties, and barrier repair delivery technologies. 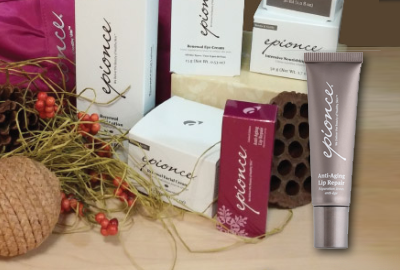 Epionce Anti-Aging Lip Repair improves the appearance of fine lines and wrinkles, reveals healthy skin on the lips, calms dryness and flaking, and helps hydrate and smooth the lips. Apple Fruit Extract, Date Fruit Extract, Meadowfoam Extract, Safflower Extract, Avocado Extract, Peppermint Leaf Extract. These ingredients help stimulate collagen and elastin, anti-inflammatory, inhibits unwanted pigmentation, helps optimal skin function and repair, firms, protects skin from environmental insults, and has antimicrobial properties. Use Anti-Aging lip Renewal in the morning and evening, reapply during the day for added hydration, use as a lip primer to improve the color longevity and hydration. 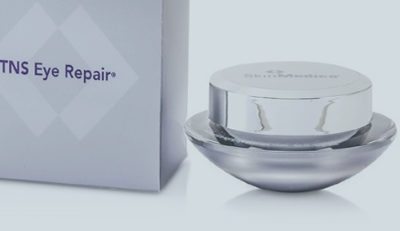 At Advanced Laser Skin Care & Spa, SkinMedica’s TNS Eye Repair is now available for purchase. It is the #1 Eye Cream as reported on Good Morning America. For all of our patients who belong to Brilliant Distinctions Rewards Program, you will now receive points when you purchase SkinMedica products.